The wispering pine bough motif is a classic adirondack look. 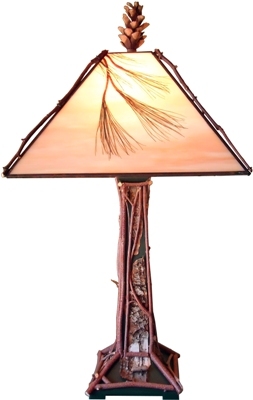 The Mission style lamp base is decorated with birch bark and twigs and topped with a pine cone finnial. 22" high, Shade 13" wide. Item: GL-PINET Price: $385 ea.